Play underpins all learning and is a vital part of children’s development in their early years. Through play, children develop language skills, emotions, creativity and social and intellectual skills, but more than this, play also helps children to develop the skills that form the foundations of learning how to pick up and hold a pencil and write. Handwriting is a skill that children learn and develop gradually, and play is also something that develops gradually as a child grows. In the first few months, the interaction between parent and child plays a critical part in creating emotional warmth, which leads into play and learning. Play starts through observing everything they can see, hear, touch, smell and taste and develops once they begin to grasp objects, shake them or even raise them to their mouth. These small movements then develop into rolling, sitting up unaided and crawling and as their physical dexterity develops, so does their ability to play. Once they have control over their bodies, they begin putting things together such as Lego building blocks or filling or emptying containers. By the age of two, children’s play typically involves imitating what they have observed other people doing, such as vacuuming or talking on the telephone, and by the age of three they begin to play with others more. Dramatic play – This is a type of play where children accept and assign roles and act them out, pretending to be someone or something different from themselves. This type of play gives children the opportunity to express themselves, develop a range of motor skills and explore their creativity, language and feelings. Sand play – This type of play involves playing with wet or dry sand and gives children the opportunity to line draw and pattern make, explore the different forms of sand using moulds, develop fine motor skills and hand/eye coordination through manipulating tools and experience the therapeutic value of working with sand. Water play – This type of play involves playing with water perhaps in the bath, in a sink or paddling pool. This type of play gives children the opportunity to develop fine motor skills and hand/eye coordination through manipulating tools, filling them, pouring or stirring and experience the therapeutic value of working with water. 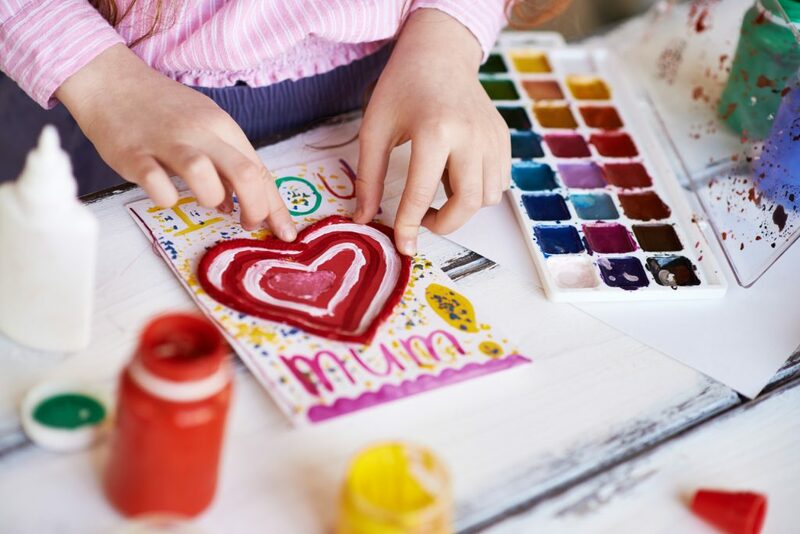 Dough and clay play – This type of play involves playing with dough or clay and provides children with the opportunity to develop fine and gross motor skills, concentration and explore their creativity and imagination through shape making. Construction play – This type of play involves the manipulation of elements to build something new, such as using Lego blocks to stack or coloured balls and block to sort. This type of play gives children the opportunity to explore different shapes, colours and patterns, develop fine motor skills through manipulating equipment, develop gross motor skills such as lifting or carrying and develop hand/eye coordination. Mark making is the creation of patterns, lines and shapes and is typically used to describe the scribbles that early years children make during activities such as sand play, painting with paintbrushes or their hands, or when using paper and pens, crayons and pencils. Research has shown that this mark making is a crucial part of children’s development and learning and also prepares them for handwriting. Through holding a pencil or a paintbrush and attempting to control this tool to create marks, the child is developing their fine motor skills and hand muscles, all of which are the foundations of learning how to write. Mark making also engages a child’s brain and critical thinking, which gives them the ability to build towards more complex learning tasks in the future, such as learning to hold a pencil correctly, form letters, words and write legibly. 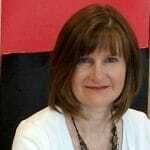 Our good friend Therese Hoyle has over 25 years’ experience teaching in schools and has worked as an education consultant for 19 years, advising schools and teachers on aspects of behaviour management, along with the social and emotional needs of children. Her books: 101 Playground Games and 101 Wet Playtime Games, offer enriching activities and traditional games to encourage active learning and social development among younger children at playtime. So, if you are a parent or teacher who is looking for some inspiration for new games you can encourage your children to play, her books are valuable resources. Play is not just for pre-schoolers – Teenagers need it too! Teenagers still need time to play and have fun. It is vital that older children continue to play in order to continue building the strong muscles that are needed to write. Teenagers may not call it play, but the time that they spend with their friends or on their own biking, playing racquet sports, or climbing is benefiting their handwriting muscles, which in turn will help them to build handwriting speed and fluency. So, whether your child is a pre-schooler, at primary school or secondary school, it is important that you are encouraging them to regularly take time away from technology to play in real-life, to support their learning or progression of handwriting and their development.